VaporX5™ Ripped features the key ingredient C. canephora robusta, which has been shown in two double-blind, placebo-controlled studies to help subjects lose weight. 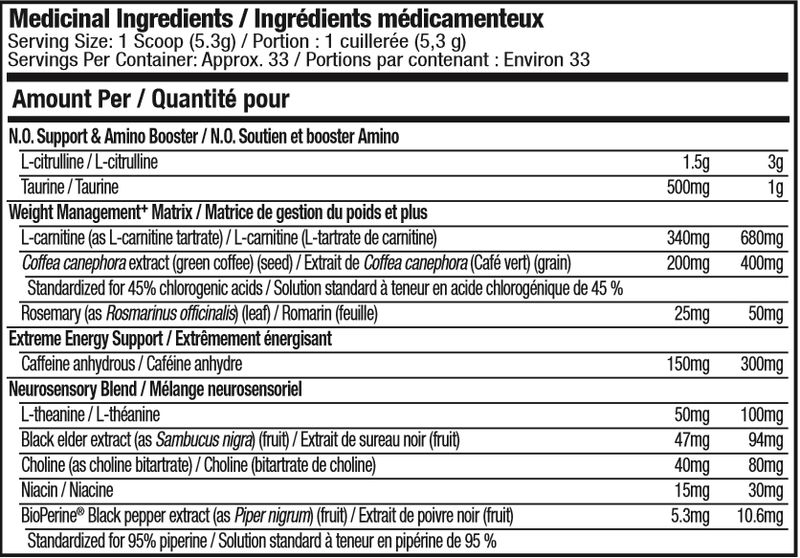 This blend also includes L-carnitine L-tartrate and rosemary leaf powder. 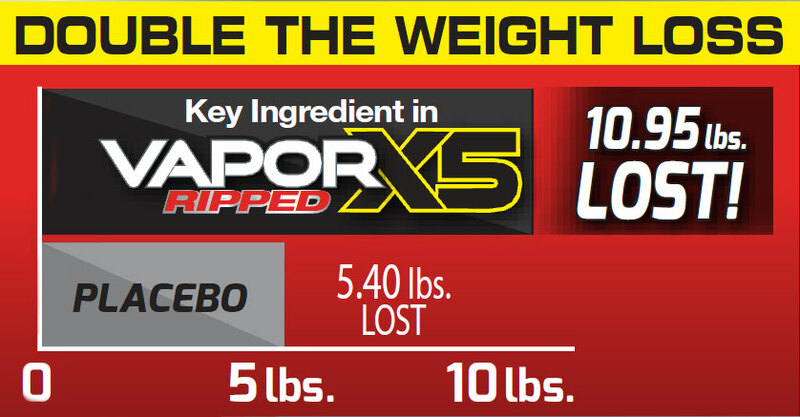 Subjects taking the key ingredient in VaporX5™ Ripped (C. canephora robusta) for 60 days lost, on average, 10.95 lbs. (vs. 5.40 lbs. for placebo) with a low-calorie diet, and 3.7 lbs. (vs. 1.25 lbs. for placebo) in a separate 8-week study with a calorie-reduced diet and moderate exercise. To ensure a high standard of quality, each batch of VaporX5™ Ripped also undergoes strict quality control and is third-party tested and verified to ensure that each bottle meets the highest standards of purity, quality and consistency. 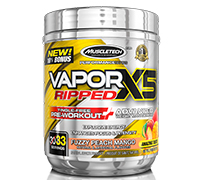 To assess individual tolerance, consume 1 scoop of VaporX5™ Ripped in 6 oz. of water per day for up to 3 days, then follow the directions below. Directions for Weight Loss: Mix 1 serving (1 scoop) with 6 oz. of cold water and consume 30 minutes before your 2 largest meals of the day. For best results, use for a minimum of 60 days in conjunction with diet and exercise. Do not snack between meals or before bed. Do not exceed 2 servings (2 scoops) in a 24-hour period. Directions for Pre-Workout: For more energy, mix 2 servings (2 scoops) with 12 oz. of cold water and consume 30 minutes before your workout. Do not take within 5 hours of bedtime. Read the entire label and follow directions provided.